One morning, the residents of a small coastal town somewhere in Australia wake to discover the sea has disappeared. One among them has been plagued by troubling visions of this cataclysm for years. Is she a prophet? Does she have a disorder that skews her perception of time? Or is she a gifted and compulsive liar? Oscillating between the future and the past, Dyschronia is a novel that tantalises and dazzles, as one woman’s pescient nightmares become entangled with her town’s uncertain fate. Blazing with questions of consciousness, trust, and destiny, this is a wildly imaginative and extraordinary novel from award-winning author Jennifer Mills. 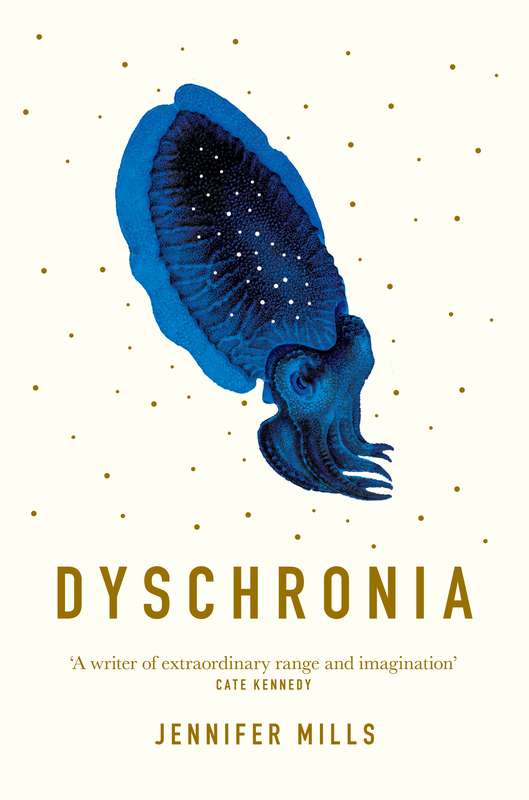 “Dyschronia by Jennifer Mills is like a puzzle laid for the wily reader, a challenge and a eulogy both… You should read it because it’s radiant and ambitious; an imposing project that Mills has executed with barely an off note.